Christmas may have come early in Crested Butte. After 15 years, the public will once again be able to hike into the U.S. National Forest through Baxter Gulch, just south of Crested Butte. Hidden Mine Ranch subdivision owners have said they will grant an easement for summer-only trail access into Baxter Gulch through their property. However, the exact location for the trail and funding to build the trail could be potential obstacles for the project, according to Crested Butte town planner John Hess. The recreation easement would allow public access between May 1 and October 31. During a regular meeting on Monday, December 3 Hess reported the Crested Butte Land Trust had negotiated a conservation easement and a recreation easement with the Hidden Mine Ranch subdivision on behalf of the town. "It’s important that the Town and the Land Trust have partnered to gain easements through private property because the public has been blocked from access to the (Baxter Gulch) area for over 15 years," Leinsdorf said. Baxter Gulch, the gateway to Whetstone Mountain and the old Bulkley Mine Site, lies approximately one mile south of Crested Butte off State Highway 135. For decades, users accessed the area through private property known as Smith Ranch to get to backcountry skiing, hiking, and mountain biking. But in 1993, the access ended due to a misunderstanding in an agreement between Smith Ranch and Trapper’s Crossing subdivision. 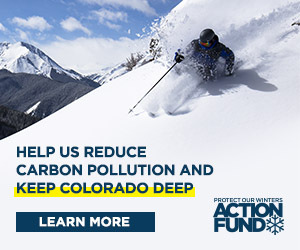 The Forest Service considered suing for access to the public lands in Baxter Gulch, but in May 2002 it essentially passed this issue back to the county and the Town of Crested Butte. Since then, the Land Trust has worked with the Town and the county to resolve the issue, which began taking strides forward in December 2005. On Monday, December 3, the Hidden Mine Ranch easement was presented to the Town Council in the form of Ordinance No. 35. Hess explained quick adoption of the ordinance was needed by the council because Hidden Mine Ranch LLC planned to dissolve at the end of the year. He said if the Land Trust had to work with individual property owners rather than the one developer, it could complicate the process of gaining access. Hidden Mine Ranch representative Don Ochs said the majority of the 19 subdivision members were in full support of the trail easement and conservation easement, and looked forward to working with the Town. In addition to the trail easement, Hidden Mine Ranch has agreed to a 102-acre conservation easement. A conservation easement is a legal agreement between a landowner and a land trust that permanently protects open space by limiting the amount and type of development that can take place on the land. The land remains in private ownership and owners can continue to live and work on the land. "We want to do it 100 percent," Ochs said. However, town attorney John Belkin expressed concern the easement documents did not include the exact location of the trail. He said it may be difficult to move it during construction. Hess agreed with Belkin and said the Town still needed to work with the subdivision to figure out the precise location of the pedestrian trail, but a general location for the trail was plotted. According to easement documents, a final location of the trail will have to be agreed upon by July 2008. Crested Butte Land Trust attorney Jim Starr said the subdivision was flexible with the easement’s language and was willing to accommodate the needs of the Town. "Everyone is on board for the trail corridor," Starr said. Hess says although the Town has secured trail access to Baxter Gulch, building the trail could be more difficult. "Now we can get there, but building the trail is going to be a big deal," Hess said. The proposed trail through Hidden Mine Ranch is approximately 7,400 feet long. Building the trail will require a partnership between the Land Trust, the Town of Crested Butte and the Gunnison County Trails Commission, Leinsdorf says. The Baxter Gulch trail will begin on the Town of Crested Butte’s property next to the county shops on Hwy. 135, travel through Trappers Crossing, and eventually enter onto the Hidden Mind Ranch property. The trail also crosses Doug and Gina Kroft’s property. The Krofts signed a recreation easement in 2006, which encouraged other neighbors to consider providing an easement. One portion of the proposed trail has a steep drop, which could be of concern in the future, according to Hess. However, to change the route would require an additional easement with an adjacent landowner. Hess says it’s not critical but it would make the trail much nicer and easier to use. Crested Butte mayor Alan Bernholtz said he was excited Hidden Mine Ranch had decided to give the town the easement because access has been an issue. The Town Council set the recreation easement ordinance for public hearing for Monday, December 17. "For over 10 years we have been trying to get access to Baxter and I thank the homeowners association for offering the access," Bernholtz said. Ochs said, "It’s the right thing to do."